On Mar. 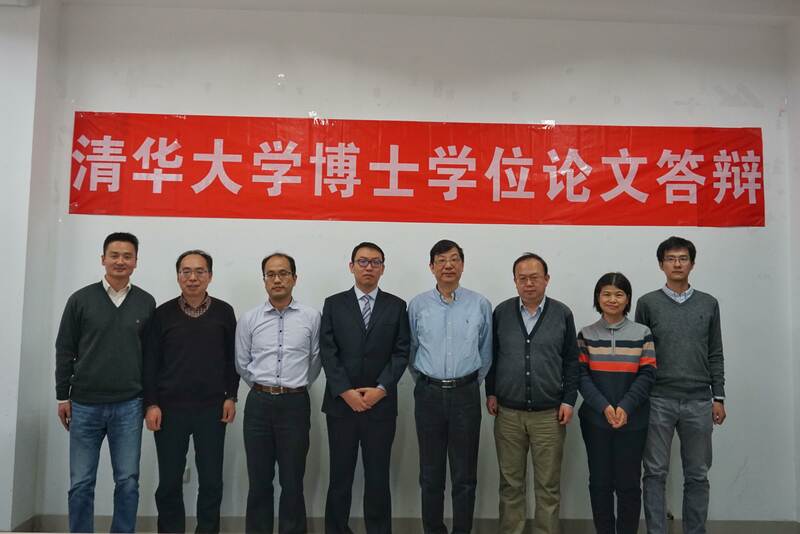 31st, 2018, Xu's group and Prof. Fengwei Huo's group held a joint group meeting in Nanjing Tech University, Nanjing. At the meeting, five students from each group gave presentations. 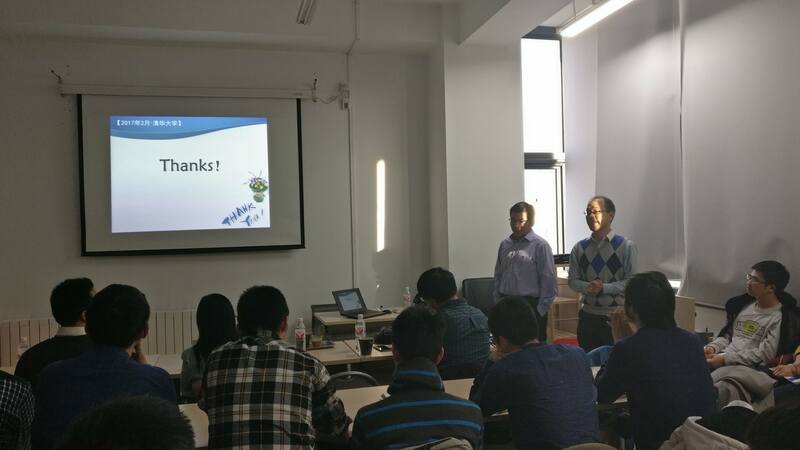 Students from Xu's group introduced dynamic chemistry and responsive systems, students from Huo's group introduced metal-organic framework and flexible electronic devices. Prof. Huaping Xu enrolled in Leading Talent of National High-level personnel of special support program (" people plan "). 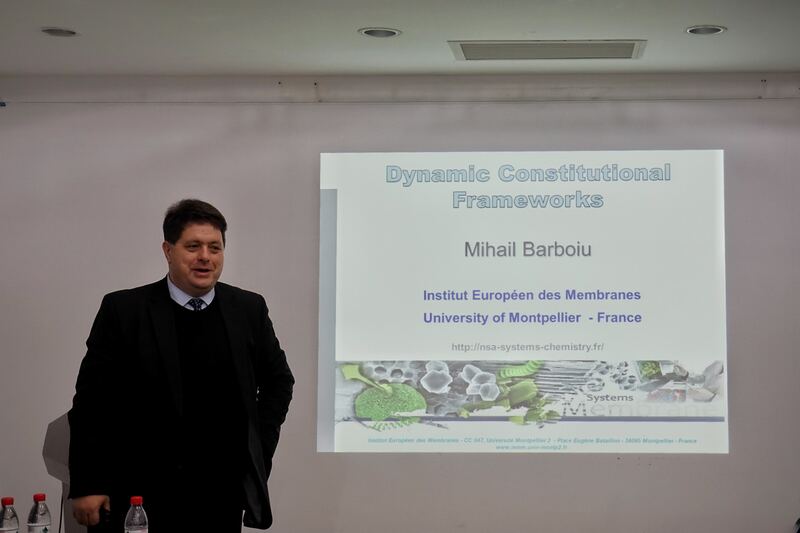 On Jan. 4th, 2018, Prof. Mihail Barboiu from University of Montpellier, France visited Tsinghua University and gave a lecture about “Dynamic constitutional Frameworks”. In the afternoon, Shaobo Ji, Lu Wang, Tianyu Li, Jiahao Xia and Chenxing Sun introduced their work to Prof. Mihail Barboiu, respectively. Mr. Shaobo Ji passed his Ph.D. dissertation defense. Congratulations to Shaobo! On Sep. 14th, 2017, Prof. Bradley Olsen from Massachusetts Institute of Technology, USA visited Tsinghua University and gave a lecture about “Revisiting the Physical Chemistry of Polymer Networks”. In the morning, Shaobo Ji, Tianyu Li and Jiahao Xia introduced their work to Prof. Bradley Olsen, respectively. On May 16th, 2017, Prof. Weibo Cai from University of Wisconsin - Madison, USA visited Tsinghua University and gave a lecture about “Molecular Imaging, Imaging-Guided Drug Delivery, and Theranostics”. On Feb. 20th, 2017, Prof. Yiyun Cheng from East China Normal University, China visited Tsinghua University and gave a lecture about “Rational Design of Polymers for Gene and Protein Delivery”.